Help! There is Blood Dripping from my Chicken’s Beak! I’m a wreck. 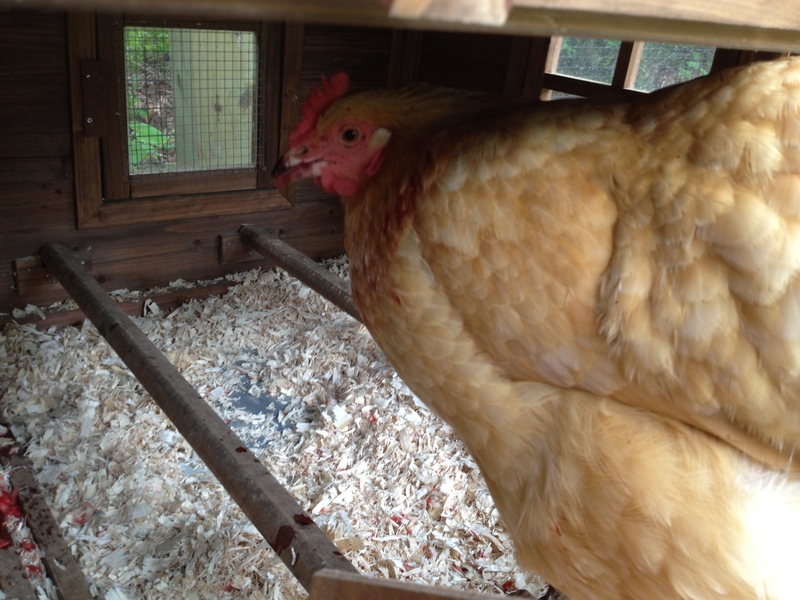 I went out to the henhouse this morning to check for eggs. Everyone was looking for some treats as usual and I doled them out as usual. 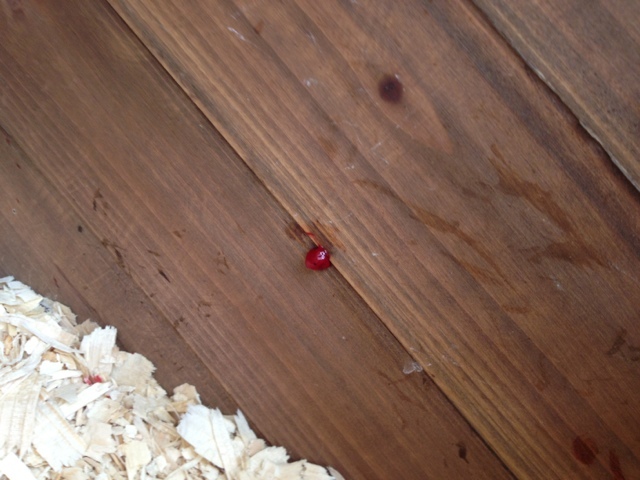 While everyone (except our broody Silkie) was eating, I checked for eggs, but instead found blood. What?! 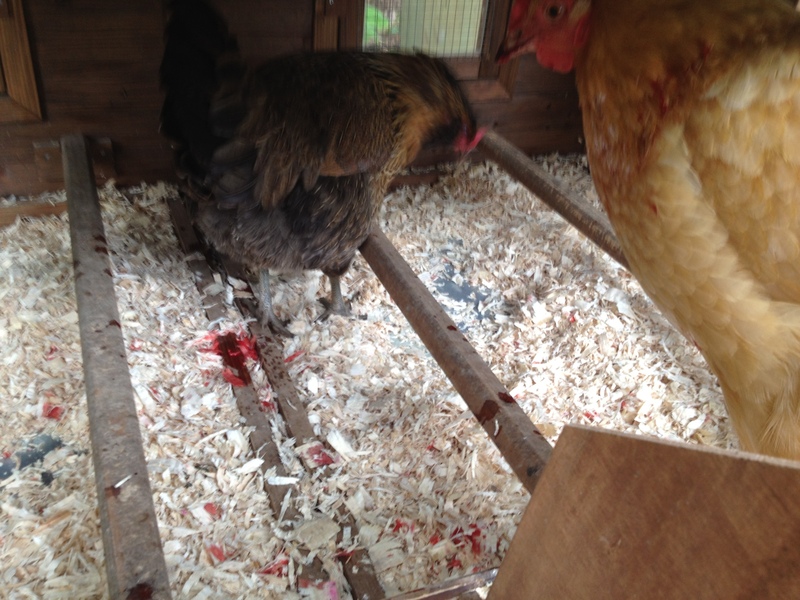 I took a closer look at the ladies and found our Buff Orpington had blood dripping, literally dripping, from her beak. Cornell Cooperative Extension, like everything else on Memorial Day weekend, is closed. I’m worried for her if its an injury and I’m worried for the rest of the flock if it’s contagious. I Googled it and I’m not encouraged by the results. What do I do? Help. Help. Help. Here are some pictures of our sick girl. As far as I can tell, her sinuses don’t look swollen. This is what alerted me to the problem in the first place. A frightening puddle of blood. She did come out of the henhouse when I brought food, ate some, and then she and some other ladies were curious when I took my camera out and came back inside. Another clue is that there isn’t just the dripping blood, but some blobs of bloody tissue. I checked for external injuries, but see any signs. In looking back on the past week, I wonder if my Silkie truly is broody or perhaps she is manifesting signs of something more sinister? 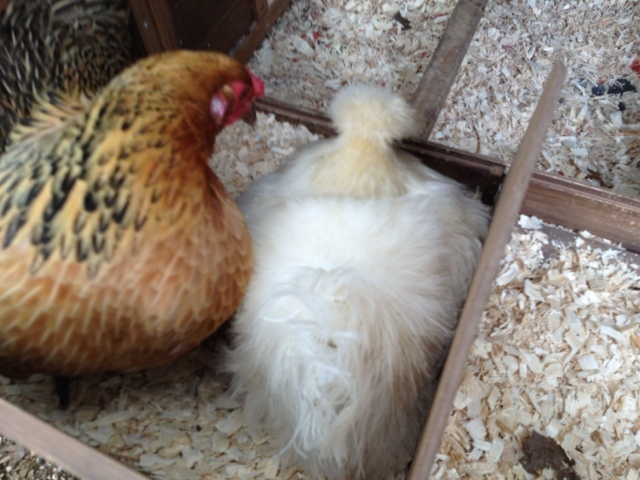 Fortunately, Silkie is blood-free. UPDATE 6/2013: She fully recovered. After the dripping blood cleared, you could see where part of her top beak was missing. A year later, her beak has completely regrown so I suspect it was some sort of mechanical damage either from a a flock-mate or something around the yard. Since we don’t have chicken-cam surveillance, I guess we’ll never know.